With no surprise – someone absolutely LOVED it and I love the fine motor skills & educational aspect of it. 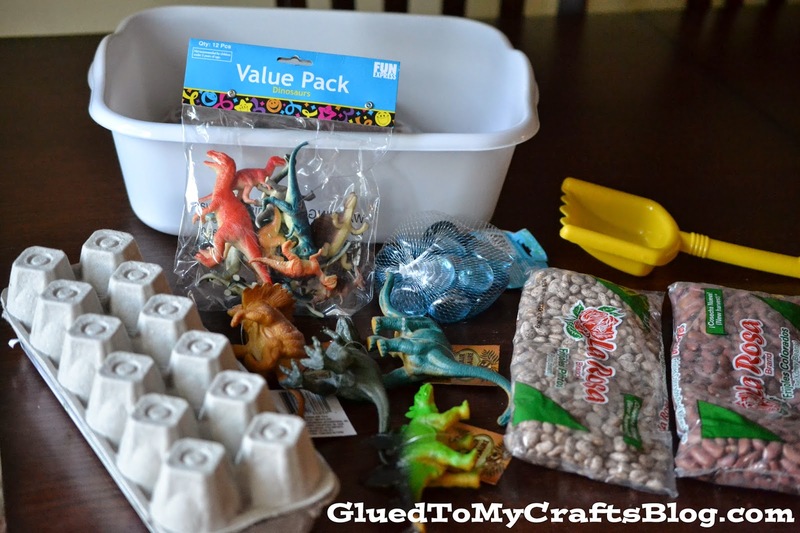 If you would like to make this sensory bin for your child – let’s talk supplies. Shall we? 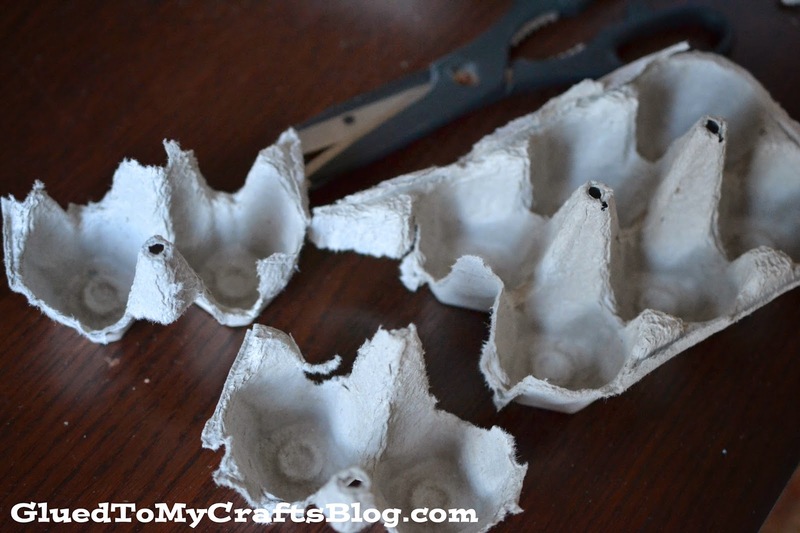 * First cut up your clean, empty egg carton into pieces. These are the dinosaur fossils/bones. 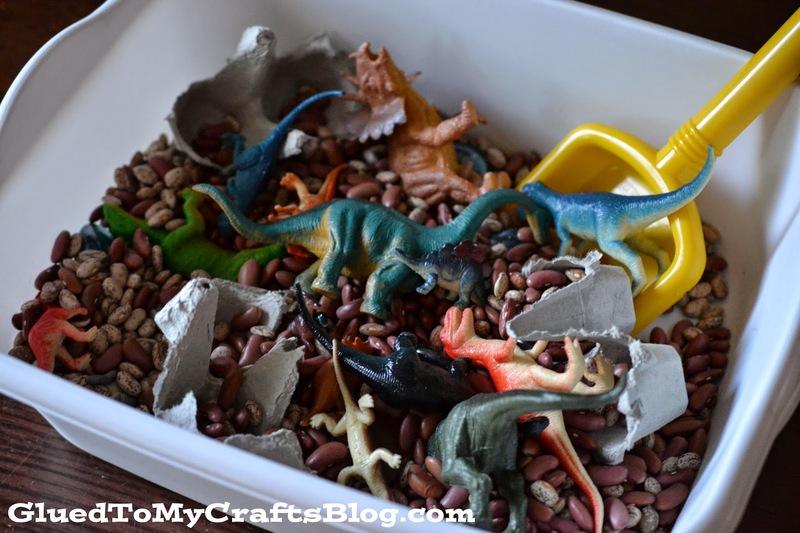 * Throw in the plastic dinosaurs, egg carton pieces and decorative rocks. * Pour your dried beans into the plastic bin and cover everything. 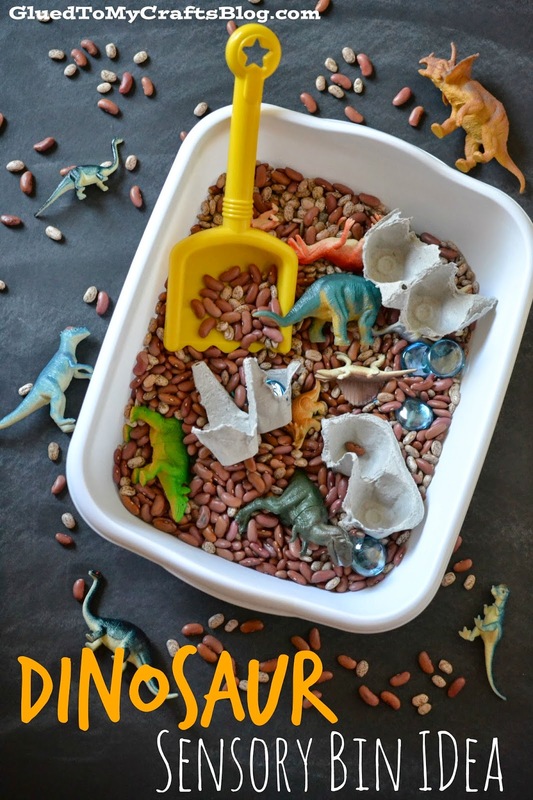 * Place scoop in bin and ask your child to “search” for the dinosaur pieces. So great! I love that you added the egg carton into the sensory bin. Pinned!